Day 1: Test subject A is excited at seeing the new hairbrush. She has a hard time deciding whether she wants a picture of her Labrador Becca, her brother Ethan or her Dad in the top of the brush, which has a special space for a photo. The mother doesn’t even make the list. Noted. She shows sign of nervousness at testing it out, but is happy to do so once she can hold the Magic Flowerpot. Good thinking designers! She then uses it to brush my hair and dad’s hair too. I could get used to this. After close inspection she insists that we pack it back in its box because it’s so pretty. I concur, the box is indeed pretty. Subject also insists that the brush stay in her room at bedtime where she can see it from her bed. Day 2: Test subject A displays her usual reluctance to brush her hair before school. Negotiations commence as to whether we are having a ponytail, plait or just clips today. She helps me to choose the hairbands and clips, and we put them in the Magic Flowerpot. Excitement at the use of the new brush begins. She holds the Magic Flowerpot with her hair decorating loot tucked safely inside while I brush her hair. No fussing, no crying, no moaning about knots, means a happy mom and test subject A skips out the door to school with the neatest hair she’s had in a long while. You can also use the brush to neaten up hair once it’s already in a ponytail which works a real charm. Day 3: Its hair washing night, and time to test out the Tangle Teezer on wet hair. Test Subject A doesn’t even notice that I’m using the brush on her freshly shampooed wet hair, it glides through her wet hair without pulling it and she heads to bed happily with clean curls bouncing around her shoulders. Verdict: Test Subject A is much happier to have her hair done every morning. As a result mom is happier, less stress plus neater hair is a win in my books. The product has delivered on its promise of no tears, no tangles, no fuss. Worth every penny, thanks Tangle Teezer! 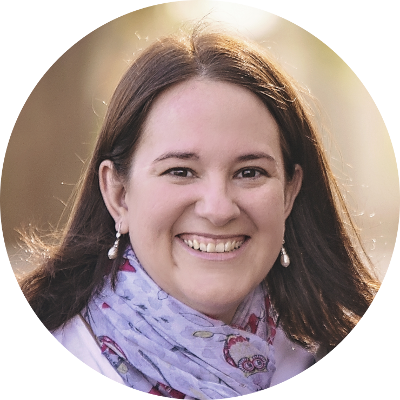 As a mom of a little girl I know that knots really can cause trouble in parenting paradise. I love brushing her hair and doing hairstyles with clips and bows, but after the fussing that goes along with this I’m often left feeling frustrated…well we both are to be honest. I’m also forever searching for the clips and hairbands which I’ve chosen for the day, they seem to disappear under a rumpled duvet cover or hide away behind a teddy bear. This means that just when I’ve managed to brush her hair I’m left searching for the goodies to tie it up with: it’s like wrangling a wild horse, and just when you manage to gain the upper hand, you can’t find the rope! 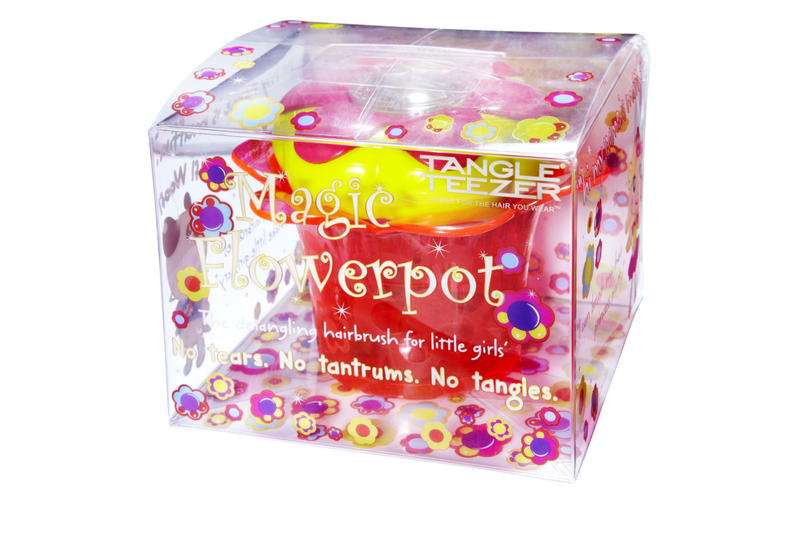 The Tangle Teezer Magic Flowerpot children’s detangling hairbrush takes away this frustration. It works really well, and being gentle it doesn’t pull the hair at all, meaning no tears. The fact that it works equally well on both wet and dry hair means those hair wash nights are also about to become a whole lot easier. The Flowerpot is super handy for storing your hair accessories and also great for easy access when you’re doing your kiddies hair. The hairbrush slots nicely into the Flowerpot for storage, and both are eye-catching and will definitely be well liked by any little girl. 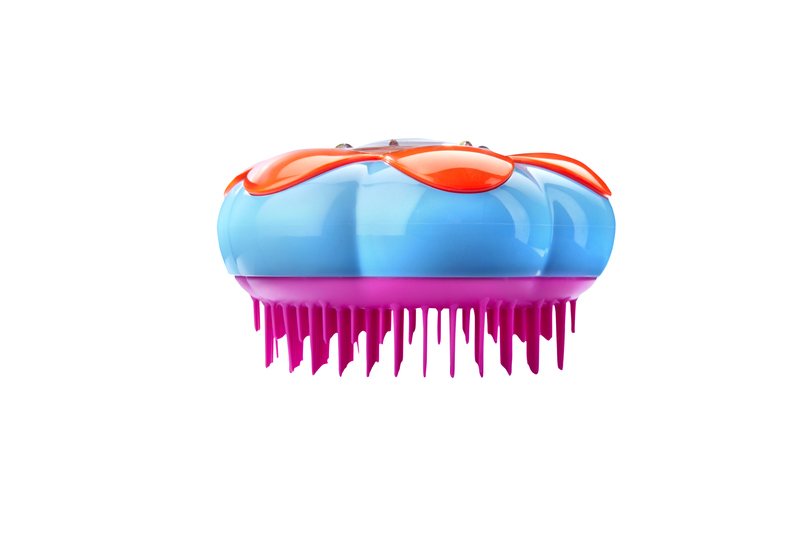 This hairbrush was designed and manufactured in the UK, specifically for children, to help detangle their hair without tears and tantrums. 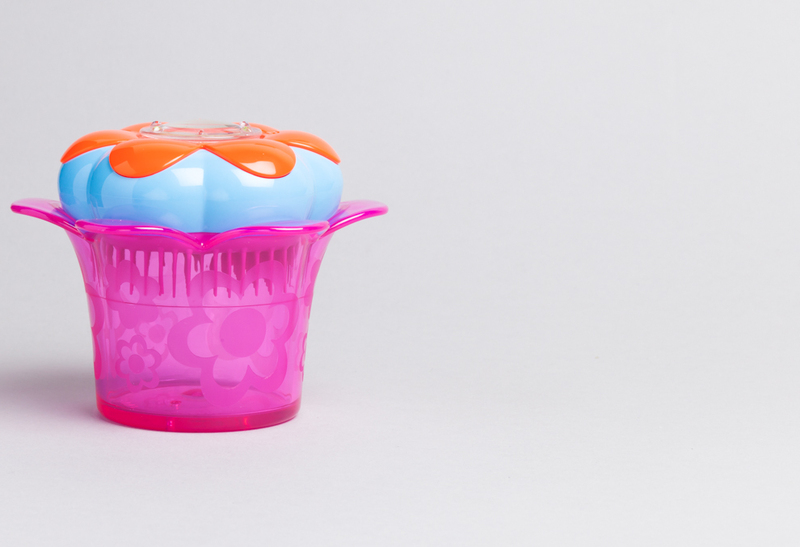 It’s easy for small hands to hold, and very gentle, which means the kiddies can learn to brush their own hair too. Of course boys can use it too, and even moms and dads. 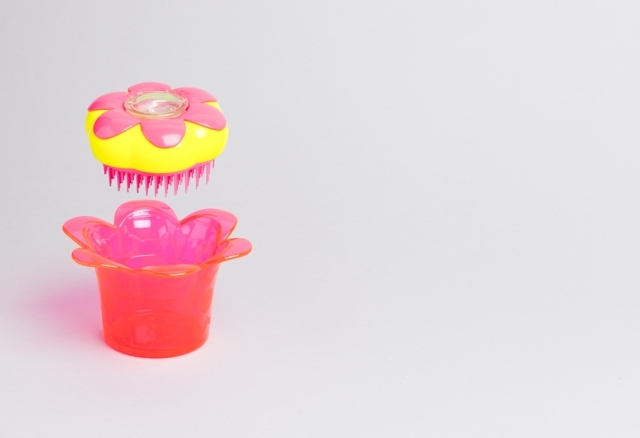 The Tangle Teezer Magic Flowerpot is available in Princess Pink and Popping Purple. 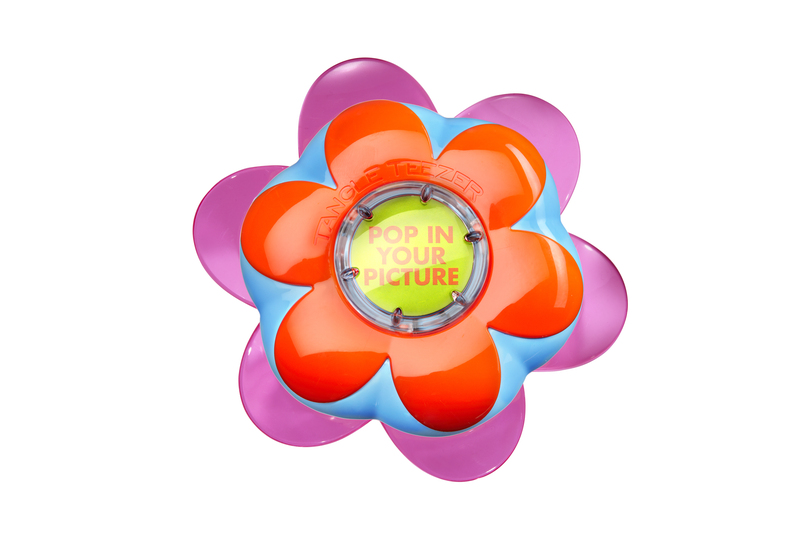 You can find it at select salons and online at Takealot.com for R290. 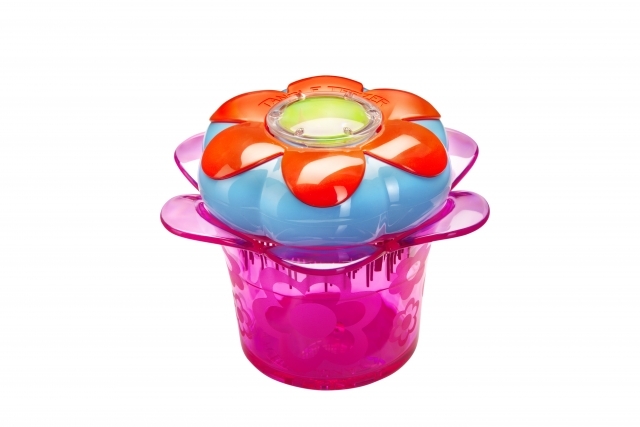 It’s an excellent product that does exactly what it promises, and with such attractive packaging it would make a great gift for any little girl…or even for yourself. Thanks to Tangle Teezer South Africa for bringing the Magic Flowerpot into our home, and for showing us that children’s hair time can be fun! Sounds like something I could use with the unruly mane I’ve got going! Hilarious read! And informative 😉 I didn’t know it could be such a mission brushing a kid’s hair with regular tools of the trade!